Home > Law Books > Treatises > Federal Information Disclosure, 2018-2 ed. 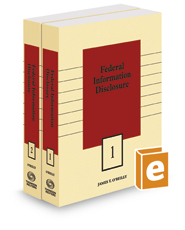 Federal Information Disclosure, 2018-2 ed. Appendixes, model forms, and cases are included.